When Gwinnett County, Georgia ran the numbers on shutting down their prison facility (incarcerating 450 people), they factored in the 356,322 hours of slave labor provided by the prisoners in 2008. Offsetting this, the county could be putting 170 people to work at full time positions. The prison scaled back after 2008, anticipating a closure, including the number of guards able to supervise the slavery. In 2010, there was only 110,640 hours of slave labor. The report recommends that it is better fiscal policy to increase the prison rather than close it- despite the budget of $12.6 million. This is the equivalent of paying each of those 170 prospective employees $74,000 per year. The report recommends the expansion of slave labor to cut county costs, i.e. to lay off more workers. This, after a 2006 expansion costing $78 million… yet slaves are triple-bunked rather than open up empty cell blocks. Opening the new blocks will force the hiring of more overseers, or officers. 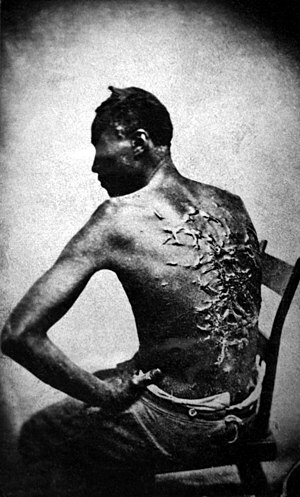 Many are not aware that the 13th Amendment of the US Constitution makes legal the use of slave labor by prisoners. Wherever you are, in any jurisdiction, there are prisoner work crews (whether paid in pennies per hour, or not at all) taking the role of would-be hard working Americans. The fuzzy math makes it cheaper to pay for a slave at $38,000 per year than an employee at the same rate. How many hours are your local slaves working? This entry was posted in prison economics and tagged Gwinnett, Gwinnett County Georgia, History, Prison, prison expansino, prison labor, Prison-Industrial Complex, slave labor, Slavery, Thirteenth Amendment to the United States Constitution, United States, United States Constitution. Bookmark the permalink.